Medical Academic Winter illnesses and children: when to be concerned? Winter illnesses and children: when to be concerned? Distinguishing between winter ailments with the same common symptoms is vital in order to recommend the correct treatment. Teaching children about regular hand washing routines, ensuring they receive good nutrition and establishing a healthy environment, will go a long way towards preventing illnesses common in winter. It’s winter and along with the cold weather comes the usual bout of childhood illnesses. The season can prove especially challenging for parents of babies and young children who are more vulnerable when it comes to typical winter ailments. With so many of these illnesses sharing common symptoms, it can be hard to determine what illness a child has. Dr Omolemo Percy Kitchin, a paediatric pulmonologist practising at Netcare Waterfall City Hospital, says understanding the basics when it comes to the different types of common winter ailments can go a long way towards assisting parents in navigating typical winter ailments. These basics include the common signs and symptoms, management, prevention, control and when it is advisable to see a doctor. Coryza: inflammation of the lining of the nasal cavity, better known as the “common cold’. It is derived from Greek word Ko’ruza, meaning nasal mucus. Influenza: an infectious disease caused by the influenza virus, and is commonly referred to as flu. Allergic rhinitis: inflammation of the nose, sometimes referred to as hay fever. Bronchiolitis: inflammation of the bronchioles (small airways). Asthma: chronic inflammation of the bronchi (larger airways). One of the key factors that Dr Kitchin highlights is the overuse of antibiotics for the treatment of illnesses. Many parents automatically expect a prescription for antibiotics to treat colds and other viral infections. Not only will antibiotics not have the desired effect, it can have dangerous side effects and adds to the worldwide problem of antibiotic resistance. “Common colds, influenza, and bronchiolitis are caused by viruses and therefore do not require antibiotics to treat them. Parents and caregivers tend to think that an antibiotic will solve the problem. However, antibiotics are only effective in treating bacteria and not viruses. “Influenza is potentially the most dangerous of the three conditions, specifically when it results in secondary complications such as pneumonia, which if very severe might require admission to the hospital and or the intensive care unit. This is more common in individuals with compromised immune systems. Compromised individuals should have a yearly flu vaccination which should limit the severity of the condition,” Dr Kitchin says. “Influenza has similar symptoms to the common cold, but could also include painful muscles, rigours, a general feeling of being unwell accompanied by a severe lack of energy. Influenza can result in secondary complications such as pneumonia, ear infections and sepsis. Unfortunately, coryza and influenza have to work its way out of the body,” Dr Kitchin adds. 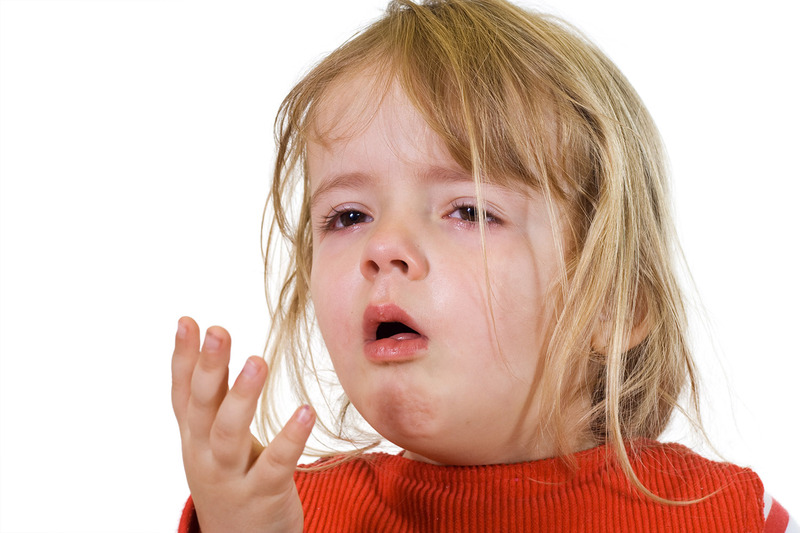 “Children under the age of two are frequently susceptible to bronchiolitis. It presents with a cough, fast breathing, difficulty in breathing, chest in-drawing and fever, and is commonly triggered by the respiratory syncytial virus (RSV) in 90% of cases. Para-influenza and other viruses causing a common cold and influenza, may also be involved,” notes Dr Kitchin. Allergic rhinitis or hay fever, as it is commonly known, often originates from seasons when there is a lot of pollen in the air. It may also be caused by allergic reactions to other substances. “Patients present with a cough, especially at night, an itchy and runny nose with clear secretions that can be greenish in colour, watery and itchy eyes, and sometimes swelling of the eyelids. Patients can, in addition, present with dark discolouration under the eyelids,” Dr Kitchin explains. HOW ARE THESE ILLNESSES MANAGED? Dr Kitchin explains that a common cold or flu is treated symptomatically with nasal decongestants, fever control, nutritious meals, and quality sleep. The virus will work itself out of the system, over time. “Allergic rhinitis may be treated with nasal cortisone spray and a non-sedating antihistamine. For bronchiolitis, which is firstly treated symptomatically, patients might benefit from admission to hospital and oxygen via a nasal tube if the respiratory distress becomes severe. Asthma should be treated with controller pump inhalation steroids through a spacer in young children, and a reliever in case of emergencies,” he adds. “Asthma can be well controlled by using inhaled steroids, and hay fever through intranasal steroids,” Dr Kitchin explains. To limit the risk of bronchiolitis, which cannot be prevented by itself, national guidelines recommend the use of prophylaxis before the respiratory syncytial virus (RSV) season starts for high-risk patients. “High-risk children can be defined as premature babies and children with congenital cyanotic heart disease. Such children are born with an abnormally developed heart and blood vessels, resulting in low oxygen supply to the organs,” he says. There are many simple ways in which you can control the spread of illnesses. “Teaching and implementing regular hand washing routines, ensuring your children receive good nutrition and establishing a healthy environment, will go a long way in preventing illnesses common in winter. Avoiding environmental risk factors and tobacco smoke, ensuring that your child’s vaccinations are up to date, and getting a flu shot before the start of the winter season, are also advisable,” concludes Dr Kitchin.